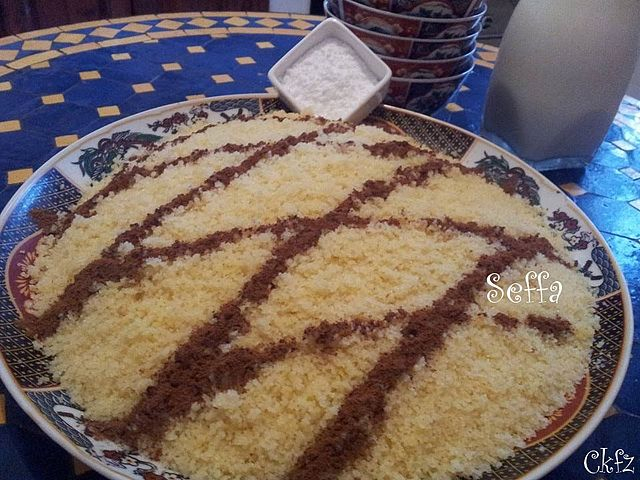 The seffa is the simplest sweet version of couscous.<br>The semolina is prepared in the same way as in the couscous, then sprinkle on it cinnamon and icing sugar. Sometimes locals add peeled and fried almonds, raisins and/or dates as well. It can also be prepared with angel hair pasta. 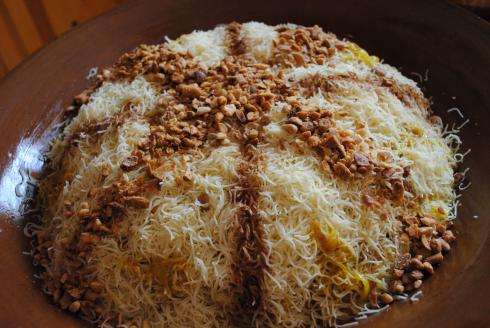 Even if the recipe is very simple to make, the "Seffa" can be proposed in special occasions (weddings) or for invitations. The "Seffa" is usually accompanied by milk flavored with orange flower water. The #Seffa Medfouna,# which is a variety of the "Seffa" consist in preparing a chicken with sauce and hide it inside the "Seffa". "Madfouna" in Arabic means "the buried". Dig the semolina with your spoon, you will discover a surprise!